When you think of France, what cities come to mind? Paris, Marseille, Bordeaux...maybe others that are known for their wine, history, or fashion. When Ali brought up the idea of spending a week in Nice, I agreed before I even knew where it was located on a map. In fact, I really didn't know anything about the city until we got there. Nice was the last leg of our three week trip we had earlier this year (Click here to see our trip to Venice). The city is located along the cote d'azur, also known as the French Rivera, also known as the blue coast. If you google "cote d'azur" you'll find oversaturated pictures of towns/cities with water so blue that you may have to squint in order to actually see what is in the picture. But, really, this is pretty close to what you see in person! The water is amazingly blue. The cities are built on the mountain side. Beautiful, gigantic boats inhabit the coves. The list goes on and on! One of our favorite things we did was driving along the coast from Nice to Monaco. There are a few different cities that you drive through, and each one having a little different coastline and variety of colored buildings. 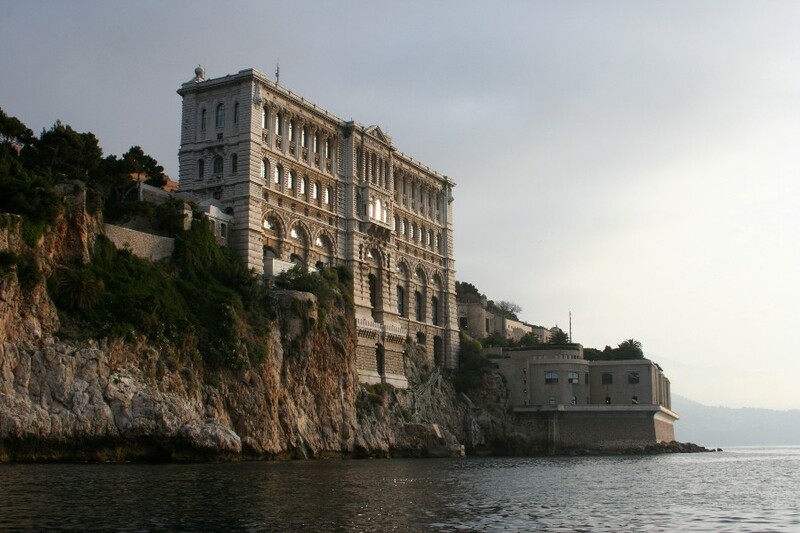 Once we arrived in Monaco, we decided to go to the Oceanographic Museum. This is an amazing Aquarium/Museum built where the sea meets the rocks. We had a spectacular time looking into the eyes of sharks and watching Nemo swim around with his friends. Another highlight of our trip was going to the small town of Grasse. Grasse is known for its perfumeries. They not only mix and make perfumes, but they actually make the oils you need to make the perfumes. We we went on a tour of a perfumery called Galimard. I've always wondered why perfumes and cologne are so expensive, but after them telling us that it costs at least ten thousand dollars for one liter of lavender oil, I am am able to understand. Haha. All in all, our trip was relaxing and wonderful. I wish the weather was a little bit warmer so we could swim in the beautiful sea, but that's ok. The video shows a little bit of the amazing views we had during our time in Nice!